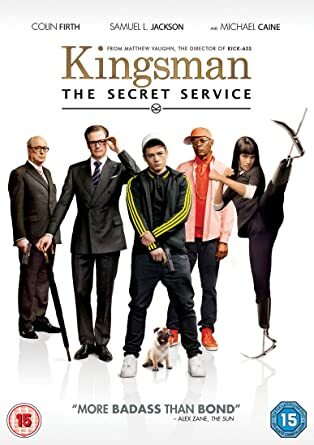 A review on "Kingsman: The Secret Service" a film revolving around "Eggsy" from a South London housing estate who is recruited to be a trainee in the secret service. For me the film “Kingsman: The Secret Service” is for me a hilariously funny film as it shows the contrast between apparently lower class and upper class in their approach to things, but despite this it comes together nicely. The main character in it is likeable and even funny at times, his cheekiness draws me into the film and makes me hang on due to curiosity as I’d like to know where his story is going. Although a lot of reviewers apparently found that the over use of violence was unnecessary, I respectfully disagree as the whole film to me was a very satirical portrayal of the action genre, done in a way that still gets out a believable movie (in terms of the movie world, of course). When it comes to the characters I enjoyed the fact that the main character was definitely like the other characters in terms of manner - he didn’t speak in received pronunciation, he wasn’t as educated on things such as dog breeds etc. That was what made him likeable, and was one of the more interesting aspects of the film. It was intriguing to see him interact with other characters as it highlighted the divide between middle and upper class. Having them working in such close proximity was satisfying as I related more to Eggsy, and seeing him succeed was satisfying. As for the cinematography I found that it was impressive, especially with the scene near the end of the film where the heads exploded revealing a multi-coloured array as everyone perished. The music matched up to it, causing the entire scene to appear very comical. It wasn’t the first time upbeat music made an otherwise dark scene funny. For instance, earlier on in the movie there is an extremely violent scene in which members of a church are all battling one another to the death and killing each other, the violence in the scene is juxtaposed against the happy soundtrack resulting in an overall comedic effect. In doing research I found that the project originated because the directors found that the genre had become too serious and so wanted to do a “fun one” which explains all the unusual unseen humour within the film. Header Image Credit: The Amazon Cover for "Kingsman: The Secret Service"
Great review, Demi! Would you mind adding a biography to your profile? We would love to know more about you! I really liked Kingsman: The Secret Service. I thought it was a very refreshing new take on a genre that seriously lacks from diversity. I've grown very tired of all the James Bond films and this was very clearly based on those films. Can you think of any other films in the genre that Kingsman parodies?